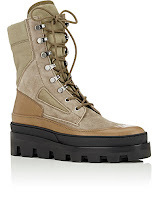 Yes there's only a month left till Spring, but when I see a good boot I have to report on it. 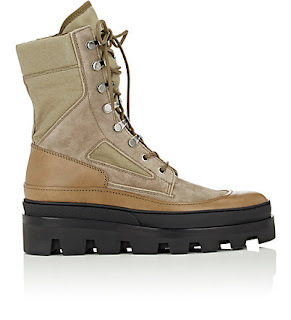 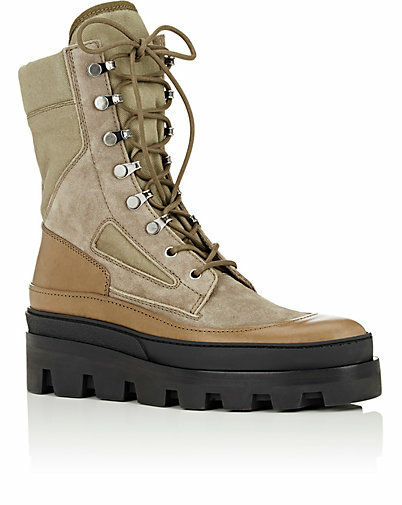 The good thing is that this Balenciaga Combat Boot is sort of that inter-seasonal downtown cool boot. 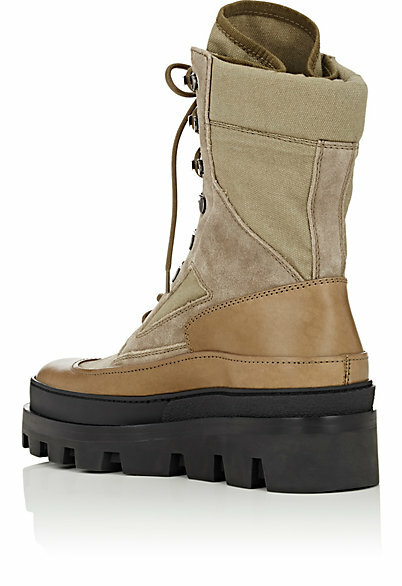 The 8" shaft may scream for snow but the canvas panels in the upper flanked by the leather insets over the partial crepe midsole and rubber lug sole calls more for Spring than snow. 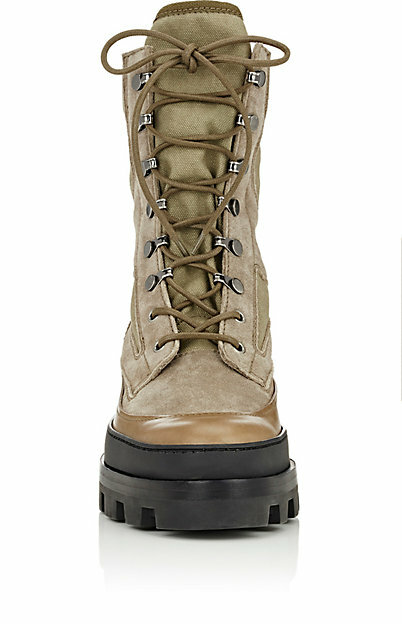 For Spring, these can be paired with crunchy skinny tapered distressed denim for a nice lean silhouette with a strong-soled finish. Available now at Barneys.com.